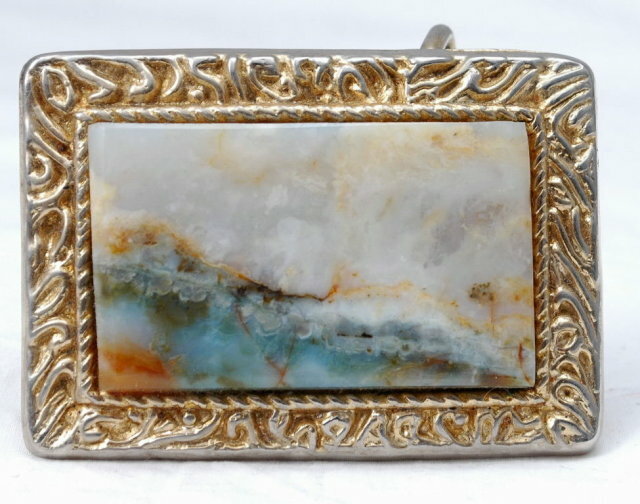 Large Beautiful Picture Agate set in a Belt Buckle . 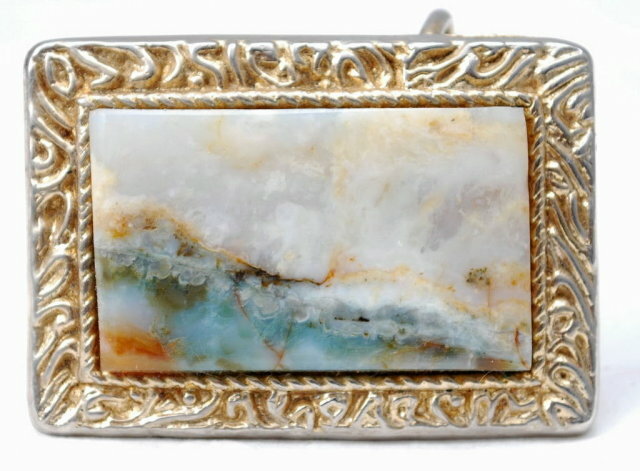 The agate is a thick beveled cut rectangle that is over 5mm thick. The surface is 2" x 1.5". It is mounted (glued) in a brass tone buckle. 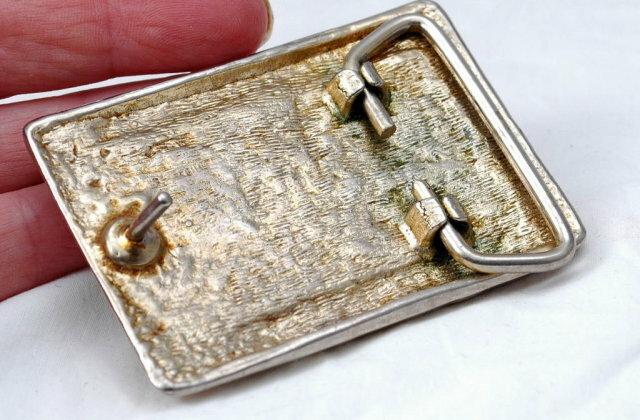 Although the buckle attractive but it is not anything special. The agate is the item of value and could be removed and place in something else. Items Similar To "Picture Agate Belt Buckle"
Marvin Richards Brown Suede Fleece lined Parka with Hood Womens Size Med.